International shipping of goods is the most challenging from an organizational point of view, because we have to deal with a large number of related procedures. 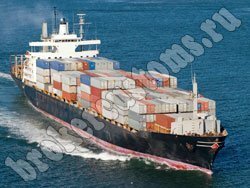 International cargo delivery isolated in a separate area of ​​activity and associated with this area of ​​the whole complex of services. the need for knowledge of international rules and norms of the organization of cargo transportation . All these factors make it necessary in the high professionalism of the organizer of international transport. If internal transportation can be easily arranged, with its fleet of vehicles with drivers and controllers, for the organization of international transport is not enough. Necessary to attract highly qualified specialists in the field of logistics, law, insurance, and customs clearance. From the experience and expertise of these employees will be directly affected quality of transportation, that is, time and cost, safety of goods, etc. The main task of a logistics manager to optimize the delivery time of goods in international transport, while minimizing costs. Note that it is not always a straight path will be optimal. Competent logistician of the route, taking into account many factors, and customs barriers play an important role in this. Sometimes, much more time cargo spends several customs offices and costs while increasing significantly. That is why sometimes the cargo transportation detours is more appropriate than the straight path. Another important point, on which the delivery of goods - transport. Depending on the route, distance and other parameters can be used as one or several types of transport. Quite often it would be more appropriate organization of multimodal transport, with the help of which it is possible to minimize both time and cost to deliver the goods from abroad . "Association of Customs Brokers" specializes in complex services in the field of international transportation. Our company has offices in major cities of Russia and many countries of the world, which allows us to solve all the questions on the spot, without organizing travel professionals. We value the time and financial instruments of our customers, as well as its reputation.